Students become “Mini Medics” for the day! 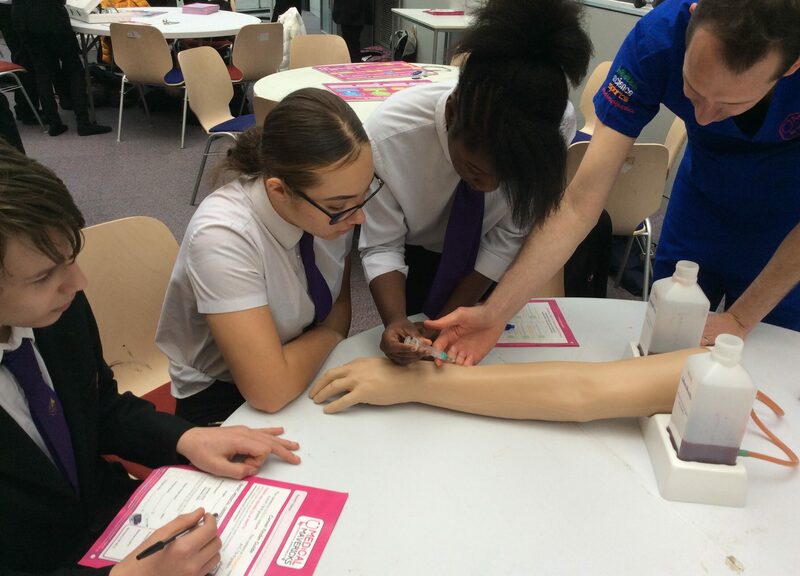 Year 9 and 11 students recently took part in a fantastic Medical Mavericks workshop, gaining insight into the inner workings of the human body, trying their hand at real-life medical procedures and finding out more about career paths in health science. 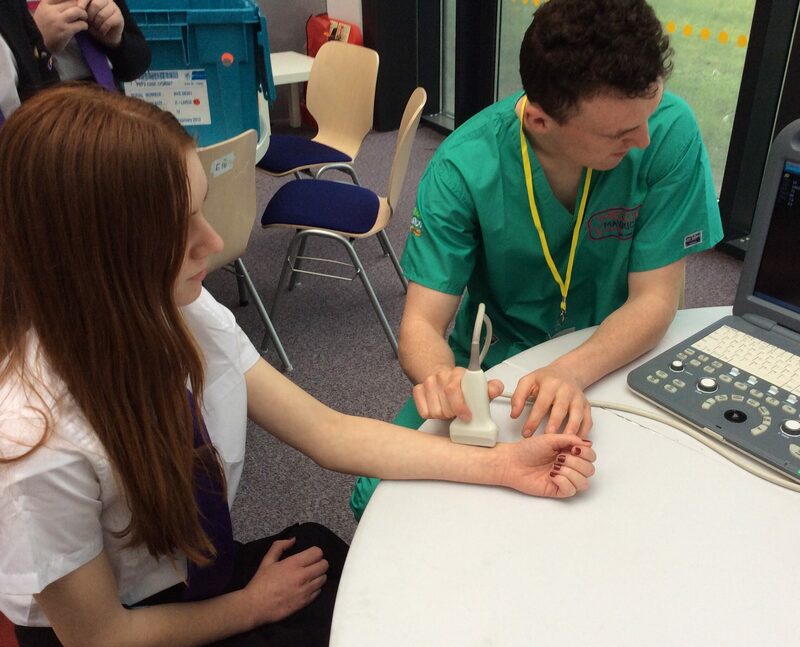 Students had the opportunity to try out professional equipment in order to calculate the angle of their heart from ECG traces; see inside their eye with an ophthalmoscope; experience keyhole surgery using a keyhole training device; take blood from a fake arm using a real needle; suture fake skin; record respiration rates and view their veins with an infrared vein scanner!